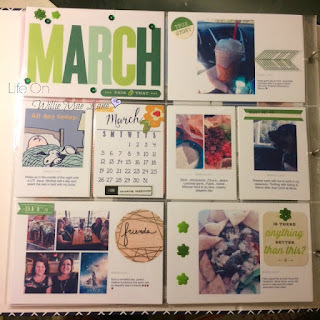 I thought I would pop in today and share my March Life Documented scrapbook pages. I am still collecting at least one photo each day to my Collect app. Some days I have several I want to use so I create a collage and use it. 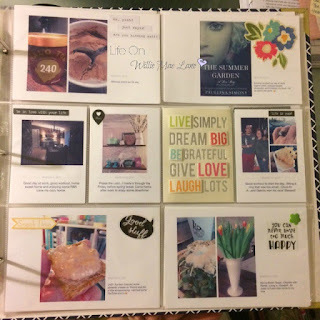 This has been such a fun project for me this year. Today after work, I came home and began working on printing my March photos. I didn't get to go to my workout due to my cough that worsens with deep breathing. I thought I would take advantage of having the evening at home by working on my March pages. I actually finished them completely...from uploading to printing...to decorating. Yay me! Like I have said before, these pages are not fancy in any way nor are the pictures perfect. They are taken on my iPhone and are sometimes very simple. And you may notice, I like to photograph my food. LOL! Occasionally I forget to take a picture or maybe I was not feeling well and have no picture to share, I find a quote on the Internet...as was the case below with Charlie Brown and Snoopy. I was sick that day. I try to use bits and pieces or ephemera and stickers with similar colors but there is no real rhyme or reason to the process. I just choose things I think fit the picture. I'm good with that. I need to go back and fill in some negative space I am noticing now....but that can wait until another day. It's just a fun, stress relieving process that I truly enjoy. It's the little things in life that make up the majority of our lives and I am loving the process of documenting many of those little things. I need to print a few extra photos from the month to fill in these last few spaces and March will be complete. I am already excited for April. Speaking of April...these next photos will be the ones that document today in the Collect app. We finally got some rain! I have been praying for it and the good Lord delivered big time! Mama said their rain gauge said 4 1/4 inches earlier today and it rained again this evening so maybe around 5 inches total. Such a blessing. The arrows are pointing to the rain pouring off my new porch roof! It sounded awesome pounding on the tin roof earlier. Here it is puddled up on the ground below. 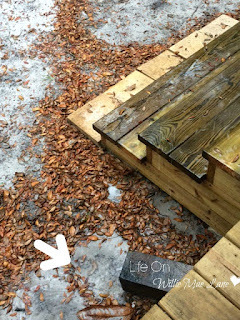 There's a partial view of my steps the hubby built for me. They are so nice...5 feet wide and 15 inches deep. We still have to put in handrails but we plan to build a pergola over the steps and the handrail will be built at the same time. We will also be putting in rain gutters later on. That's all I have to share today. I am off to bed. I am finally feeling a little better....if I can just get rid of the cough! I hope your week is going well so far. 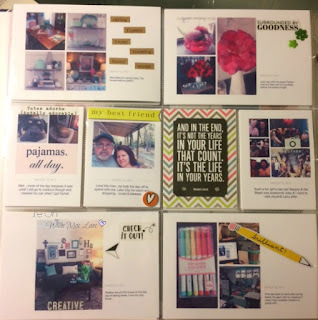 I love your pages you've created! They look great! Sometimes we just need simple, after all it's life! I am so happy to see your rain and puddles! Definitely an answer to prayer! I hope you continue to get more as well. I live the sound of rain on the roof. Music to my ears and soul!! Have a delightful week my friend! I LOVE the sound of rain not live...I really should comment on my computer sometime... lol! I absolutely love the sound of rain on a tin roof . . . I know that you have been needing it. Did you run out and do a little happy dance in your down pour? Rain on a tin roof...ahhh. Such a wonderful sound. 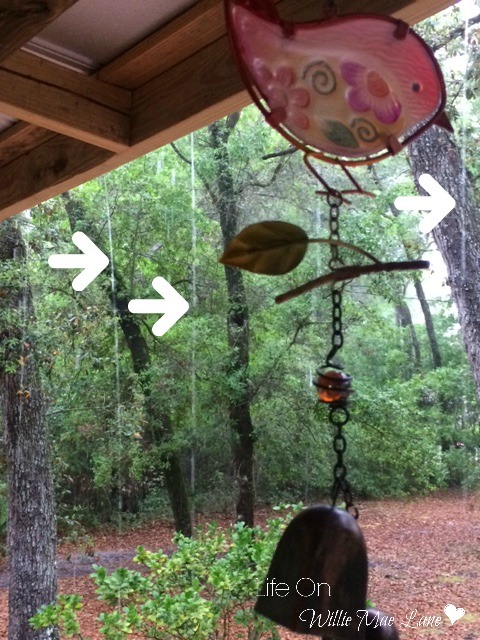 When we were in drought, I craved the sound of rain drumming on the roof. Happy y'all finally got some! 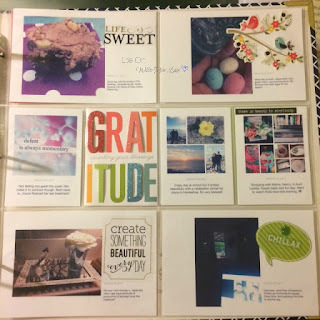 I love your pages and how you are capturing each day. Really helps keeping mindful of the small blessings that often get overlooked. I'm so glad you're feeling better - hope your cough will go away soon. When I had a cold this year that cough lasted for weeks. I hope you improve faster. I love your scrapbook pages. It's a good way to remember daily events. We are in the midst of a huge storm today with possible tornado's so I'm being very vigilant! Hugs! Hello Vicky, I loved looking at your photos and what a fun idea. I love your new blog look too! I do hope you feel better. I'm just getting over a cold myself! We have had a lot of rain here lately and the sun finally came out today. Yay. I can't wait for warmer weather so that I can sit out in the sun. LOL. I hope you have a lovely week. I can see where that would be relaxing and fun, planning the pictures and content to put in there. 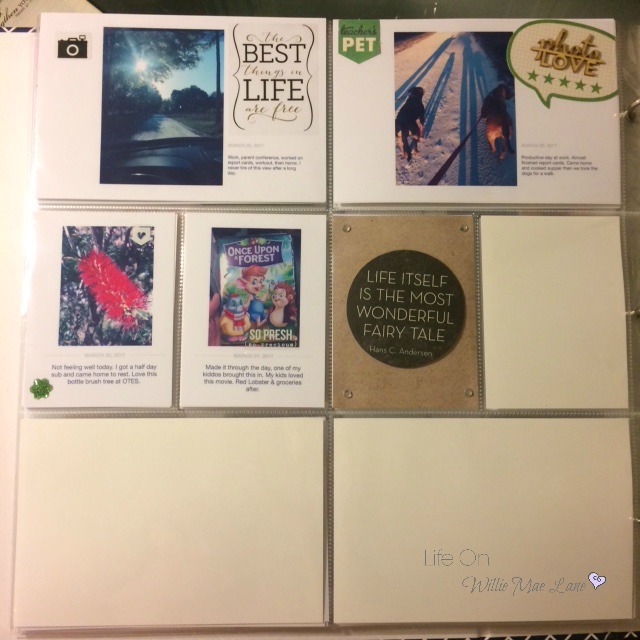 It looks great and is such a great keepsake for your kids. I love a good downpour, if I'm in the house! We are expecting that tomorrow and then snow Friday and then 78 degrees on Monday. It's crazy up here! I'm glad to hear you are feeling better, Vicky. I love your scrapbook. That is a very organized and methodical way of putting it together. We haven't had much rain down south and need it badly. I had new landscaping put in and it is looking pretty sad...except for the weeds. Why do we have so many weeds, they survive everything.